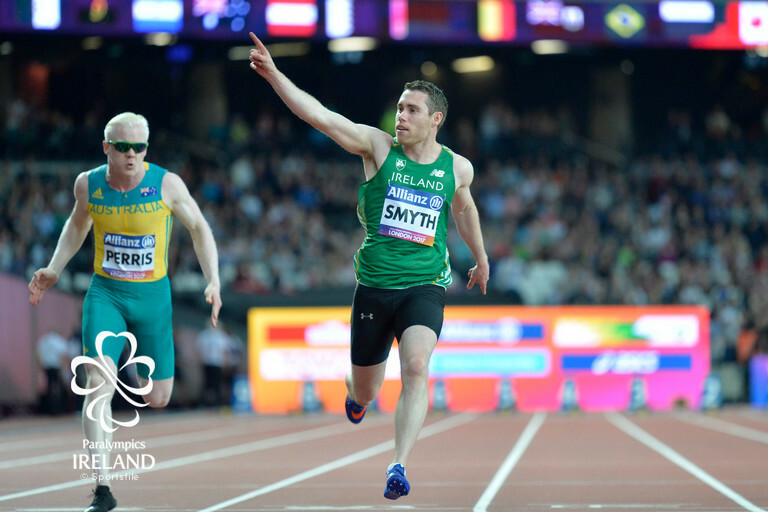 On Friday 14 July the World Para Athletics Championships will kick off a huge Summer of World Athletics – both the World Para Athletics and IAAF World Championships that follow in August. It is the biggest event to be staged at the London Stadium since the 2012 Olympic and Paralympic Games. Run as the 2017 Internationale Deustche Meisterschaften (IDM) Berlin, the competition is a firm favourite for the world’s best athletes who have gathered there annually in the last seasons. Meet schedule will be uploaded once made available. 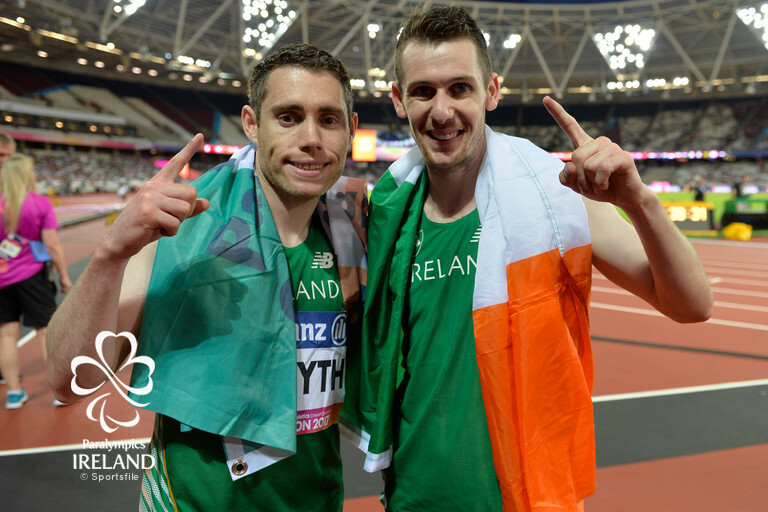 In total there will be nine Grand Prix events on the calender in 12 weeks across four continents in 2017 with all acting as stepping stones towards the World Para Athletics Championships which will take place in London, Great Britain, from 14-23 July. Bringing together some of the biggest competitions on the global calendar, the World Series will take in five countries across Europe and the Americas between March-July, leading into the 2017 World Championships in Mexico City in October. 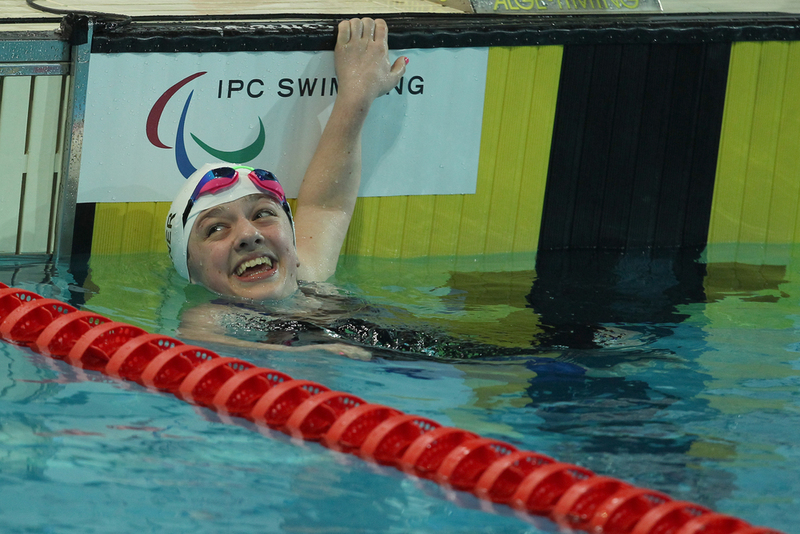 Sheffield is the third meet in the Para Swimming World Series calendar. 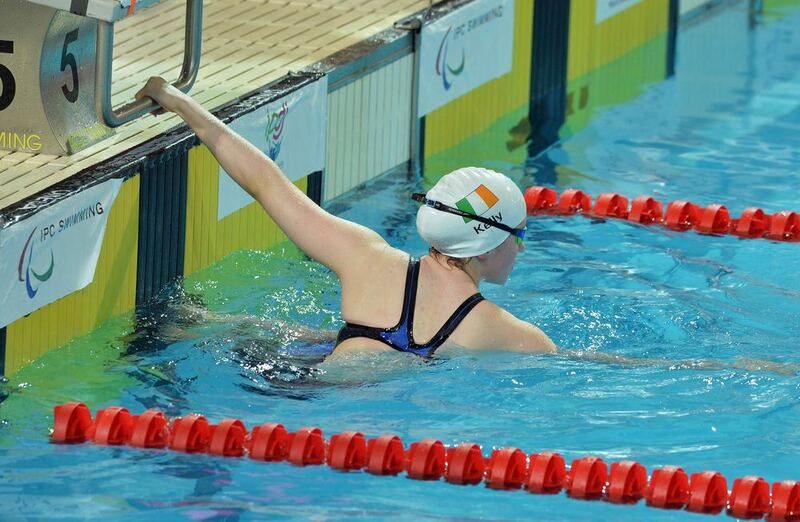 A team of five Irish swimmers are set to compete at the opening meet of the new Para Swimming World Series in Copehagen this weekend (11th & 12th March). The 2016 IPC Athletics European Championships, the last major opportunity for athletes to qualify for the Rio 2016 Paralympic Games, will be held in Grosseto, Italy. Featuring around 700 athletes from nearly 40 countries, the competition will be held at the Carlo Zecchini Olympic Stadium, a top-rated venue that has staged several IPC Athletics Grand Prix meetings in the past. 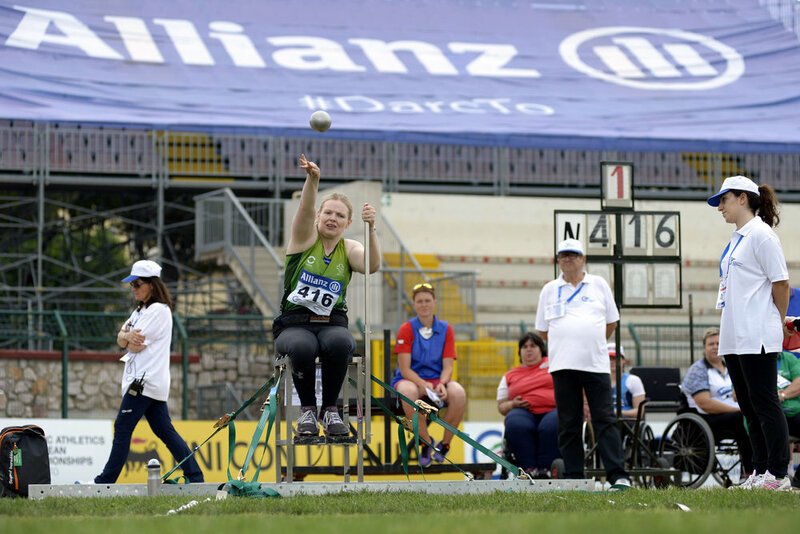 Ireland's Deirdre Mongan got the Irish squad's Europeans off to a great start when she secured bronze in the F53/54 Shot Put final early on Saturday morning. 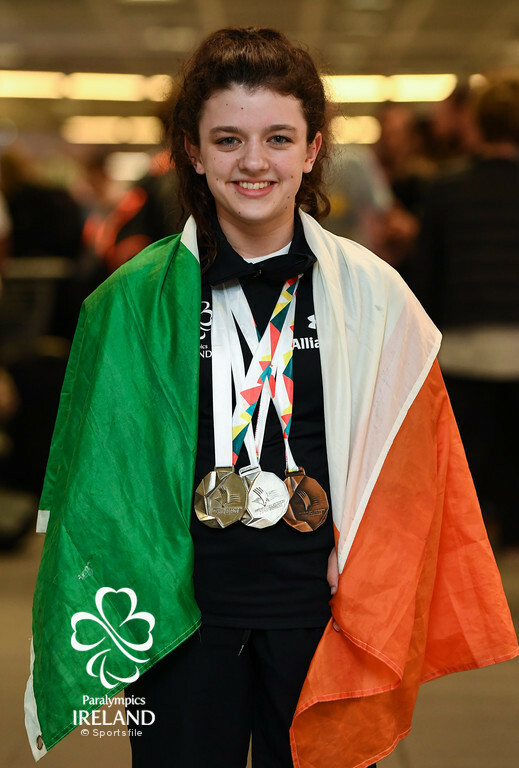 Noelle Lenihan won gold for Ireland and set a new World Record in the F38 Discus final with a fantastic throw of 32.14m on her first attempt. Conor McIlveen finished 6th in the 1,500m final in a time of 4.45.89. Heather Jameson received a NM (no mark) in the T37 Long Jump final after foul jumps. Full report on Day 2's action here. 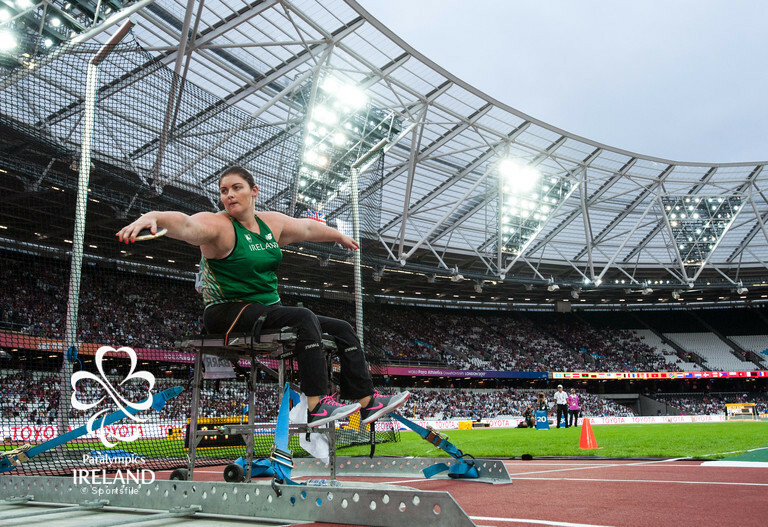 Orla Barry wins gold for Ireland in the F57 Discus final with a fantastic Personal Best throw of 31.18m. Paul Keogan will not be competing for Ireland today. He has been withdrawn from his race due to medical reasons. 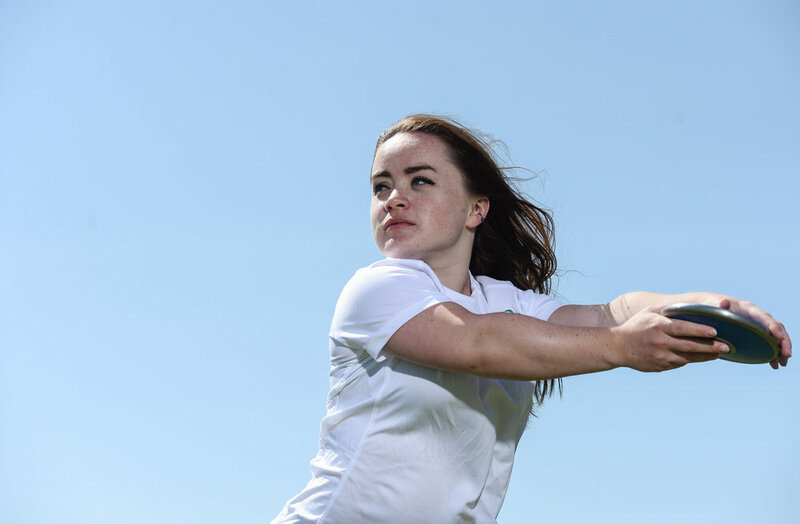 Niamh McCarthy has won silver for Ireland in the F40/41 Discus final. 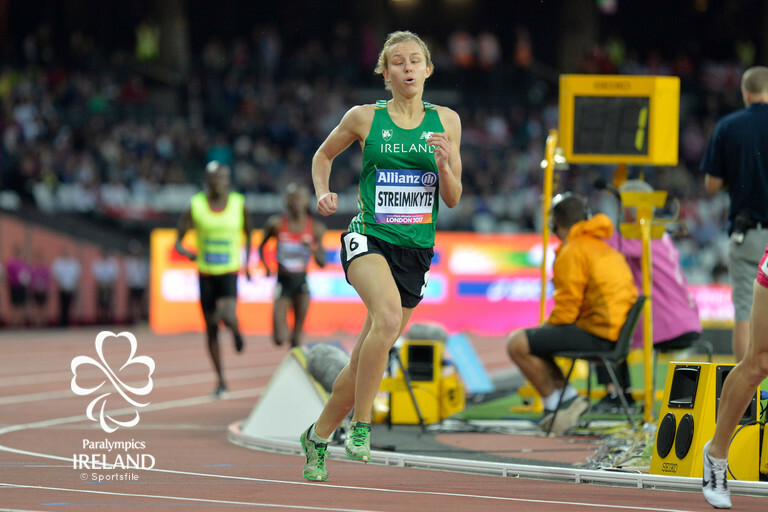 She threw an incredible Personal Best distance of 27.05m to set a new European record. Featuring around 450 athletes from 50 countries, the event is organised locally by the Portuguese Swimming Federation. It will be the last major competition ahead of the Rio 2016 Paralympic Games, and is being run as an Open to give athletes as many opportunities as possible to qualify. Nicole Turner scooped a silver medal for Ireland today when she swam home in a PB time of 3.14.41 to claim the silver medal in the 200m IM SM6.. Unfortunately, there was disappointment for Ireland’s Jonathan McGrath who was hoping to achieve the Rio Qualifying time in the Men’s 400m Freestyle S8 Final, but missed out on the time when he finished in 4.54.56. Another strong day in the pool from Irish swimmers saw James Scully, Ellen Keane, Nicole Turner and Ailbhe Kelly all reach the finals of their respective events, with PBs from Turner and Kelly. 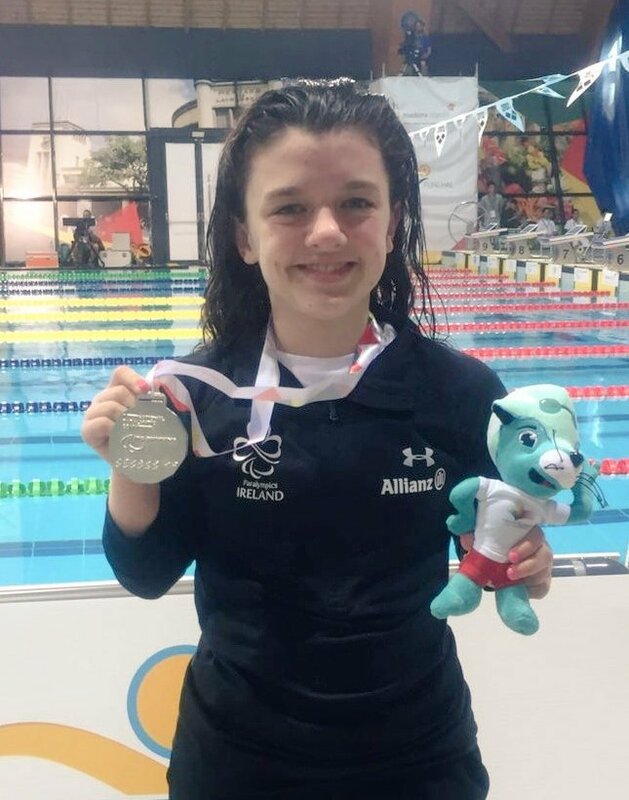 Teen sensation Nicole Turner scooped her second silver medal of the week this evening in the 100m Breaststroke SB6 this evening, tipping home in a fantastic Personal Best time of 1.46.29. Also swimming in the finals this evening was Dubliner Ellen Keane, who featured in the 200m Individual Medley SM9, and tipped home in a time of 2.43.50 to secure sixth place in Europe. You can read the full summary of the day here. 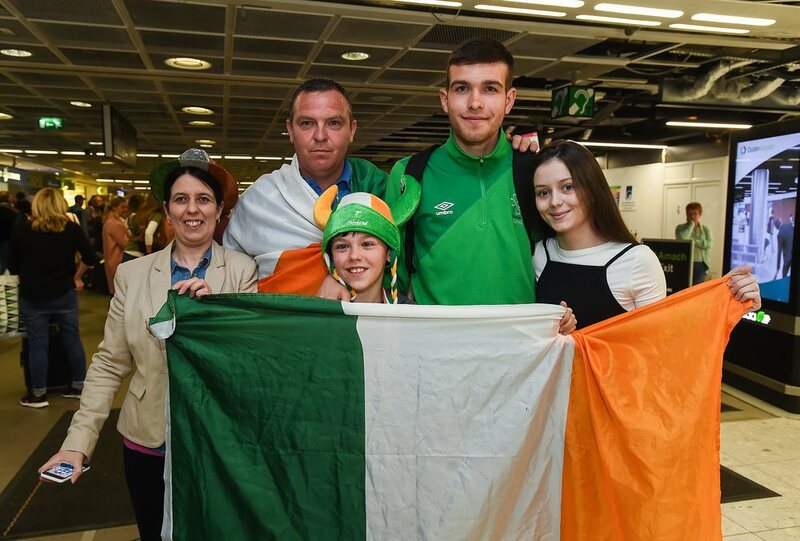 Three fantastic Personal Best times from Dubliner Ailbhe Kelly, 14-year-old Barry McClements and Laois swimmer Nicole Turner today have rounded off another hugely successful day for the Irish swim team. Turner – who has secured two silver European medals already this week – was first to hit the water for Ireland in the finals this evening, competing in the Women’s 50m Freestyle S6. and securing a Personal Best time of 36.27. Ailbhe Kelly also emerged from the pool beaming this evening, after she swam a Personal Best time of 1.26.97 in the final of the Women’s 100m Backstroke S8. 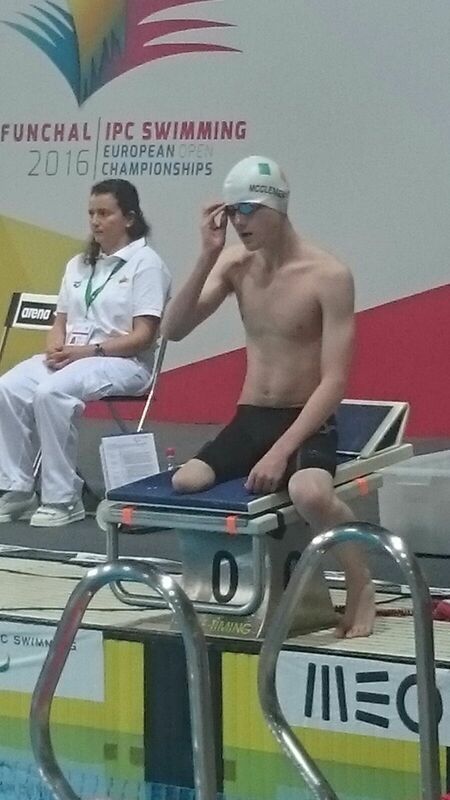 Also in the finals for Ireland this evening was Jonathan McGrath, who swam home in a time of 1.19.40 in the 100m Backstroke S8. 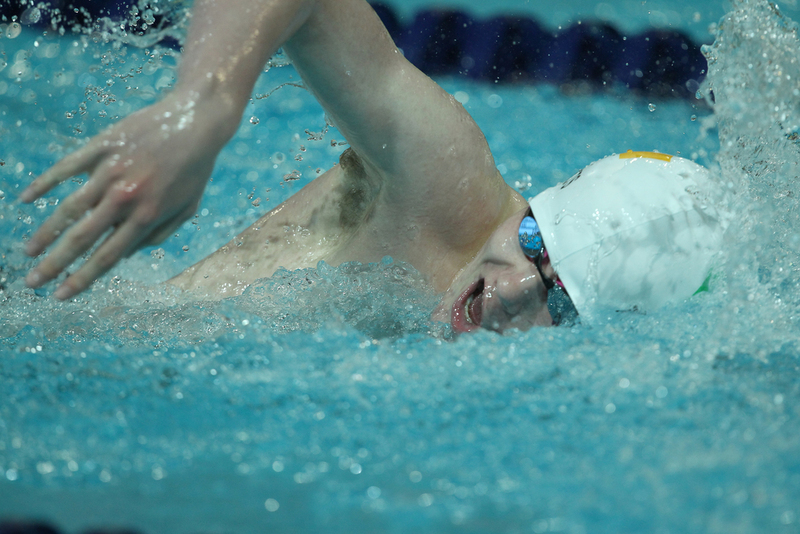 Earlier on in the day, 14-year-old Barry McClements also secured a fantastic new Personal Best time in the Men’s 100m Freestyle S9 heat in a time of 1.03.70. The IFCPF Pre-Paralympic Tournament is the last official test for the national teams who get qualication for the Rio 2016 Paralympic Games. Ireland has been selected in Group B for the tournament alongside Brazil (World gold medallists 2015), Great Britain and the USA. Also competing at the competition are Group A teams: Argentina, the Netherlands and the Ukraine. Ireland faced Brazil in the first game of the group stages on Sunday afternoon, May 1st. Brazil took control early on, driving into a 2-0 lead before the break. A strong display from Ireland in the second half kept Brazil's attacks to a minimum though but unfortunately, somewhat against the run of play, Brazil drilled home a third and final goal to win 3-0. You can read the full report here. 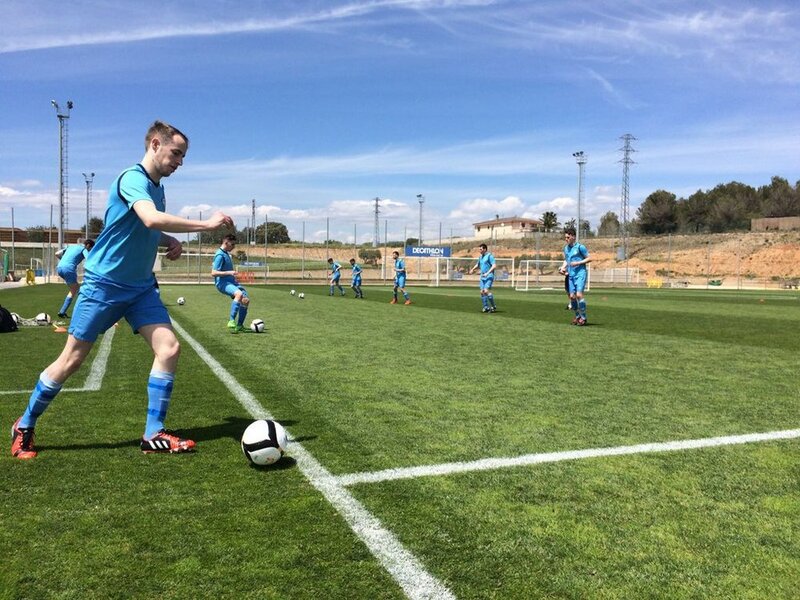 There was major disappointment for the Irish CP Football squad on Monday evening as the side suffered their second defeat of the CP Football Pre-Paralympic Games tournament in Salou at the hands of near-neighbours, Great Britain. A decent first half saw the boys in green keep the GB attack at bay, and solid performances from Conor Tuite and Luke Evans kept Ireland in touch at the break as they went in trailing 1-0. However, the second half saw Great Britain step it up, and though Luke Evans scored a cracking goal for Ireland, Great Britain had the edge and drilled home two more goals to take the win on a final scoreline of 3-1. You can read the full report here. A hat trick from Ireland’s Dillon Sheridan in their third group game clash against the USA sent the boys in green on the road to a comprehensive 5-0 victory this evening. The talented footballer drilled home his first to the net just before half time to leave it 1-0 at the break, but a goal frenzy from the Irish team saw them net four more goals in the second half as Sheridan (2), Darragh Snell and Tom Badun all found the target to see them stroll to an easy win. The side will face Argentina on Thursday. You can read the full report here. Ireland went on to defeat Argentina 3-0, before finishing with another game against the USA on Saturday, May 7th, which they won 4-1 to finish fifth overall (behind Ukraine, Brazil, the Netherlands and Great Britain). A full summary of both games is available here and here. The official draw for Rio was also made, with Ireland drawn against Ukraine, Brazil and Great Britain in Group A. Read all about it here. For the second time, the UCI Para-Cycling World Championships will take place in Italy. The Fassa Bortolo Velodrome in Montichiari will be the epicenter of the best athletes with visual and physical impairment competing for the World title. This will be the last track event that will award points for the Paralympics in Rio in 2016. The competition schedule will be updated each day during the event. 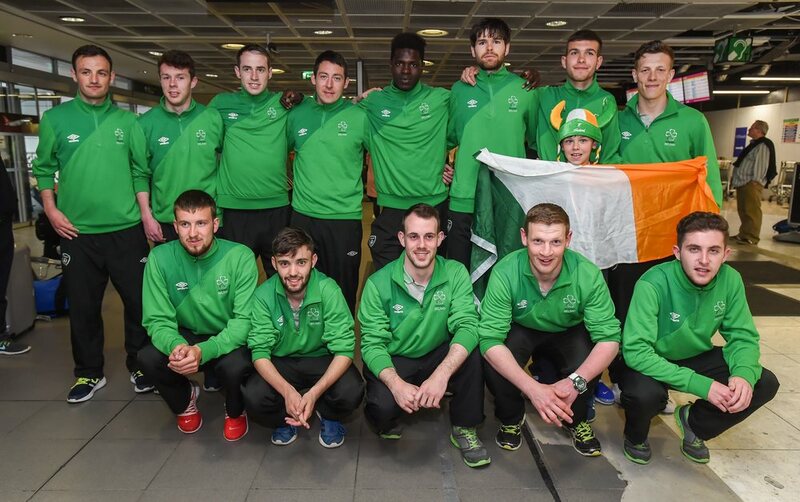 Colin Lynch and Eoghan Clifford each secured medals on the first day of the Para-Cycling Track World Championships with two great performances on Thursday evening. Lynch won silver following a race-off against Canada's Tristen Chernove in the final, while Clifford secured bronze on the day. Full details here. Irish tandem para-cyclists Katie-George Dunlevy and Eve McCrystal finished in fourth place this afternoon in the bronze medal ride-off in the WB 3km Pursuit at the UCI Para-Cycling Track World Championships in Montichiari, Italy. The pair went head-to-head with Great Britain in the race after securing a fourth fastest time of 3.35.924 in the qualifiers this morning and headed into the final with just 0.15 seconds between the bikes. Earlier on, the new male tandem pairing of Peter Ryan and Sean Hahessy finished ninth overall in the MB 4km Pursuit qualifiers, putting in a fantastic performance to shave 10 seconds off their previous Personal Best. Their time of 4.21.359 is an Irish best time at sea level, and bodes well for the relatively new pairing in their first major championships together. Women's tandem duo Eve McCrystal and Katie-George Dunlevy finished 10th in the TT today with a sea level PB of 1.12.778. 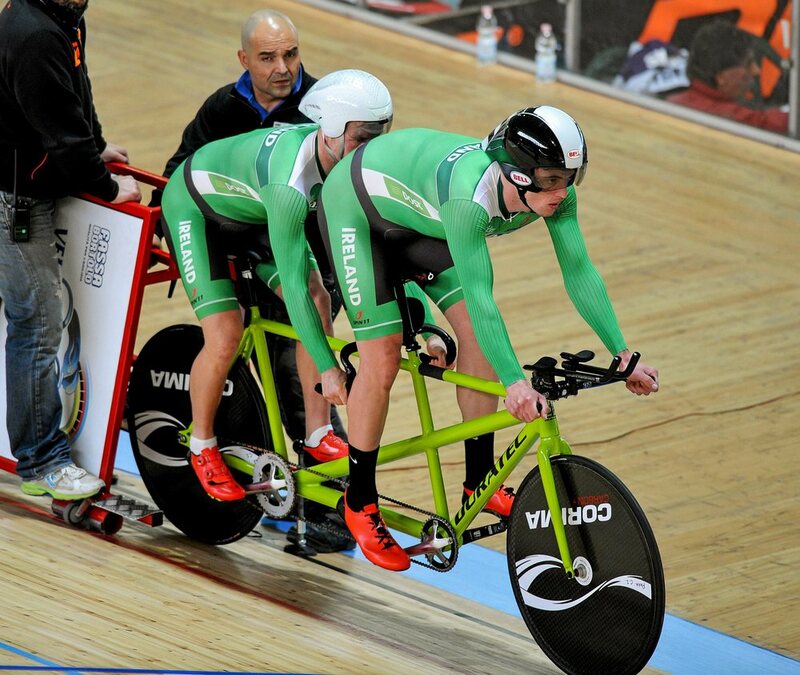 Meanwhile, the men's tandem pairing of Peter Ryan and Sean Hahessy finished in 17th position with a time of 1.06.36, which was just outside the Irish record, in the MB 1km TT. Earlier today, Ireland’s Eoghan Clifford secured fifth place in the MC1-2-3 Scratch Race. Clifford, who was the defending world champion, raced in the final of the event with team mate Colin Lynch who finished in 13th position. The pair qualified for the final on Friday. Also in action today were the male tandem pairing of Peter Ryan and Sean Hahessy and the female tandem of Katie-George Dunlevy and Eve McCrystal, the latter breaking the national record in the qualifying 200m with a time of 12.259. This netted a 6th place finish for the women, with Ryan and Hahessy finishing in 17th overall. You can read more about the competition here, including quotes from the athletes. This IPC Shooting World Cup in Thailand is the final stop on the Rio 2016 qualification calendar. 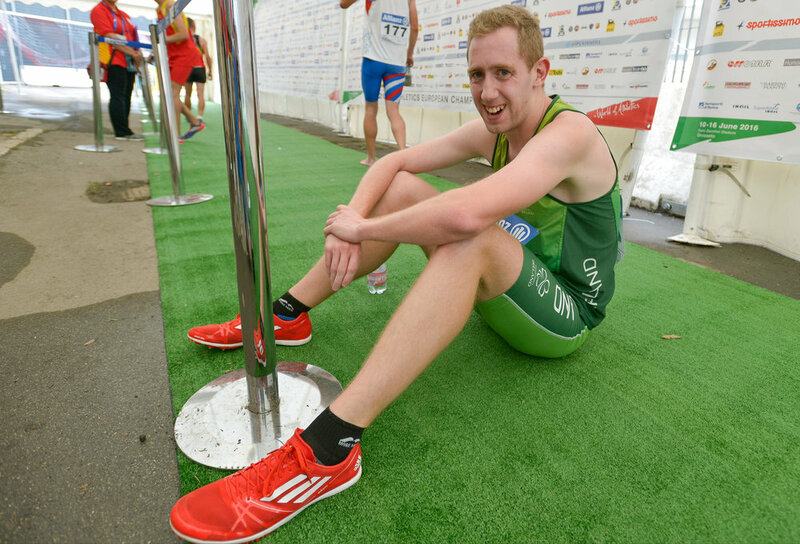 Irish athlete Phillip Eaglesham will compete in Bangkok in the hopes of achieving an MQS. You can find more details on his events and how he performed below, while if you would like to get involved with Paralympic shooting, you can find out more information here. With a good training session put in on Monday afternoon, Phillip was geared up to kick off competition on Tuesday morning in the Mixed 10m Air Rifle event. He put in a great performance on the day, to secure a Personal Best in the competition and to finish in 14th place. This event has teed him up nicely for his main event on Friday, where he will compete in the R5 10m Air Rifle Prone Mixed event. In the meantime, he will have a short rest period today, before heading back to the training ground to prepare for Friday. There were big celebrations for Irish Paralympic shooter Phillip Eaglesham today as he put in a hugely successful performance at the IPC Shooting World Cup in Thailand to achieve his second Rio MQS in the R5 10m Air Rifle Prone Mixed event. Despite a tough opening ten shots, Phillip dug deep to put in the performance required for a MQS and finished strong to make it over the line comfortably.